Hiking and even camping during the colder months of the year can be an exciting experience for any outdoorsman. The winter offers a change of scenery and solitude on the trails that are otherwise crowded during the warmer months. 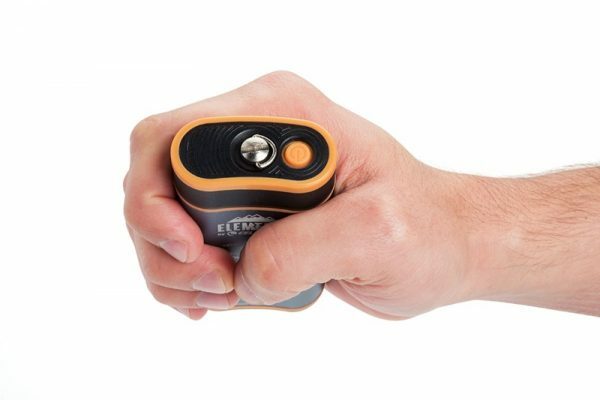 Elements by Celestron is a line of rechargeable electronic tools designed for outdoorsman, and the ThermoCharge 6 is a hand warmer/device charger for those who like a winter hike now and then. Those tackling the trail when the temperatures drop would do well to prepare accordingly, which means picking up gear that can handle the frigid environment. Aside from layers and cold weather sleeping gear, a hand warmer may also come in handy. Hand warmers have come a long way over the years, and the ThermoCharge 6 is one of the best. The ThermoCharge 6 is a tough, ergonomic, 2-in-1 hand warming tool that also serves as a portable power source for your electronics. The devices are water resistant, dust proof, crush proof and drop tested to ensure they can withstand the trail. Furthermore, the power curve design of the aluminum frame allows it to fit nicely in your hand and pocket. 8 hours of scent-free heat (hunters will love it) is what you can expect with the ThermoCharge 6. The power bank’s rechargeable lithium battery can charge smartphones, tablets, cameras, MP3 players and other USB-powered devices, too. Bonus: The C-Link feature allows for connecting other Celestron power banks so you can extend your heating up to 16 hours. The ThermoCharge offers you an easy-to-use auto charge feature, too, which means you don’t have to fumble with buttons while wearing gloves; you simply plug your device into the USB port and you’re charging it. 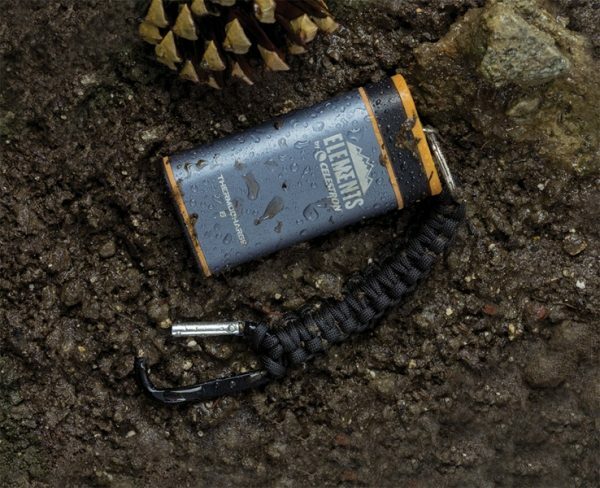 With the charger you’ll also get a 550 paracord strap with a carabiner, a soft carry bag and a USB charging cable. The ThermoCharge 6 model will run you $49.99, but there are other models in the Elements line, too, all of which offer varying levels of charge and cost.